Inspired by the material mercury, the designer created a lamp, which looks both metallic and like glass, giving it a special optic effect. 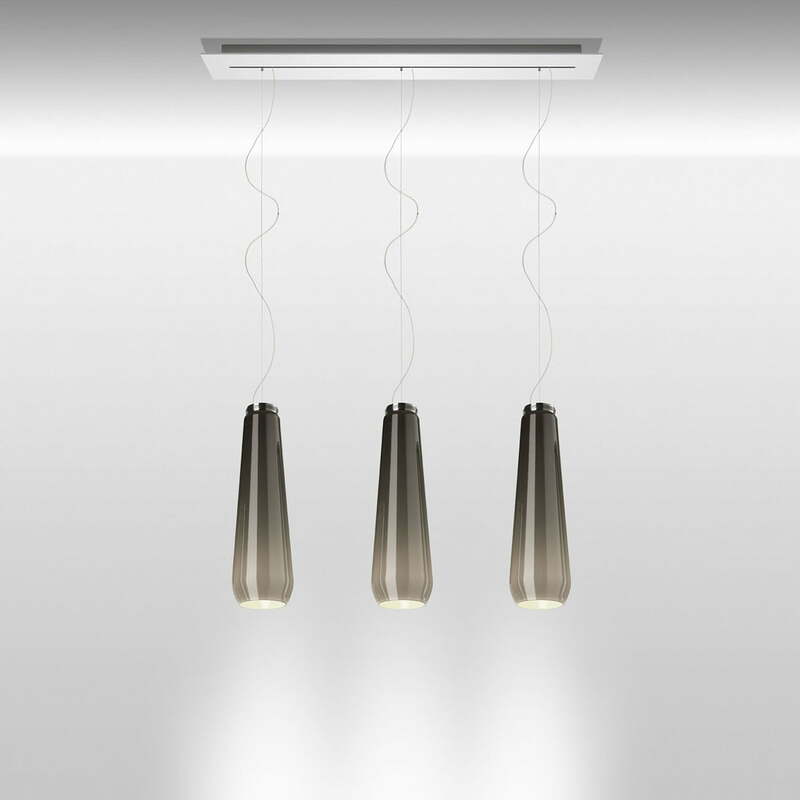 While the shade out of blown glass has a mirror finish in the switched off mode, diffused, soft light shines through the shade when switched on. The luminaire’s top part comes in the cool chrome tone, but will be replaced by a warm, yellowish tone going down to the bottom part of the shade so that despite the industrial style a pleasant, cosy atmosphere is created. 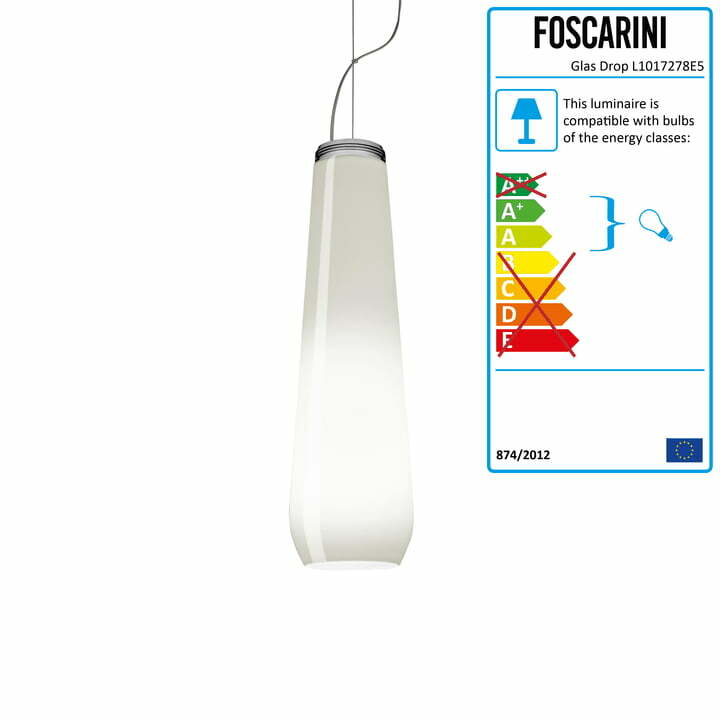 With the help of a built-in dimmer the light intensity also allows to be adjusted depending on the requirements. 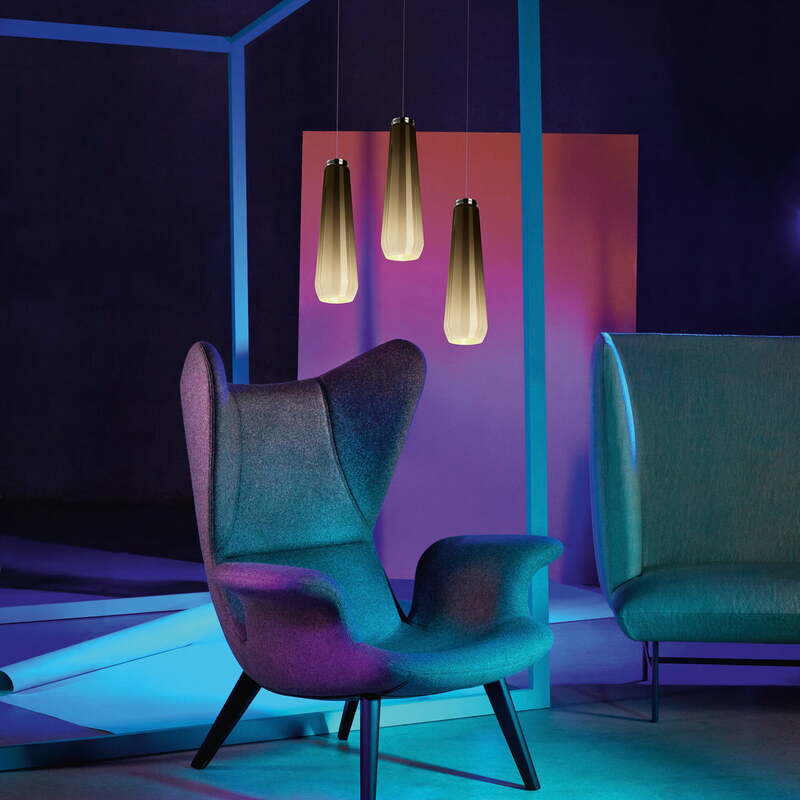 This way, the lamp can be used anywhere, where a cosy atmosphere needs to be created, whether in the living room, or in public spaces such as bars or lounges. One thing is certain: the Glass Drop pendant lamp by Diesel Living attracts everyone's attention and places accents in any room. 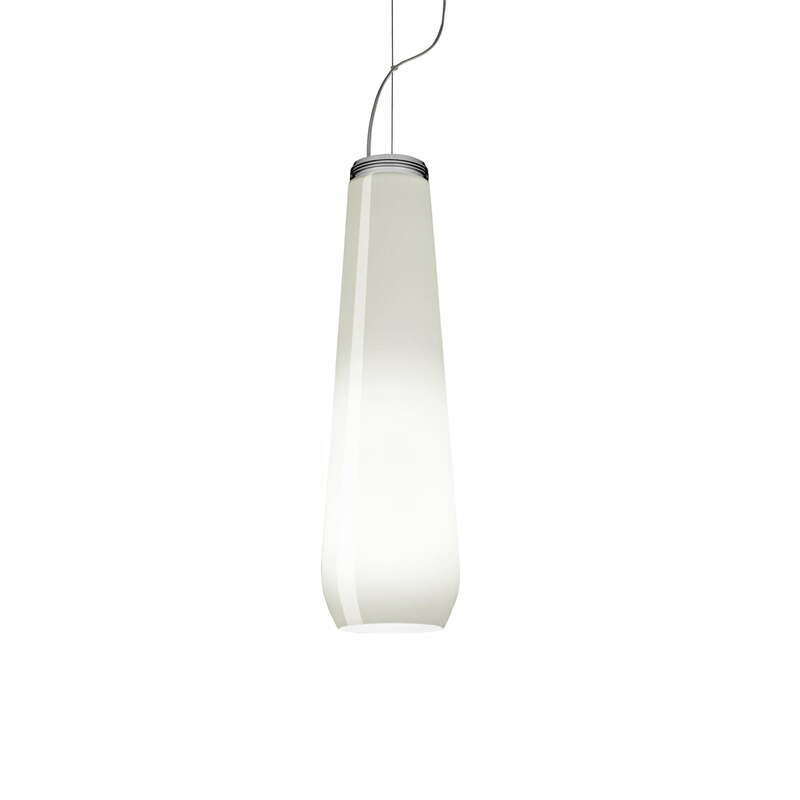 Individual image of the Glass Drop pendant lamp. The name says it all: The pendant looks like a drop although the inspiration for the design comes from the material mercury. Detail view of the Glass Drop pendant lamp. 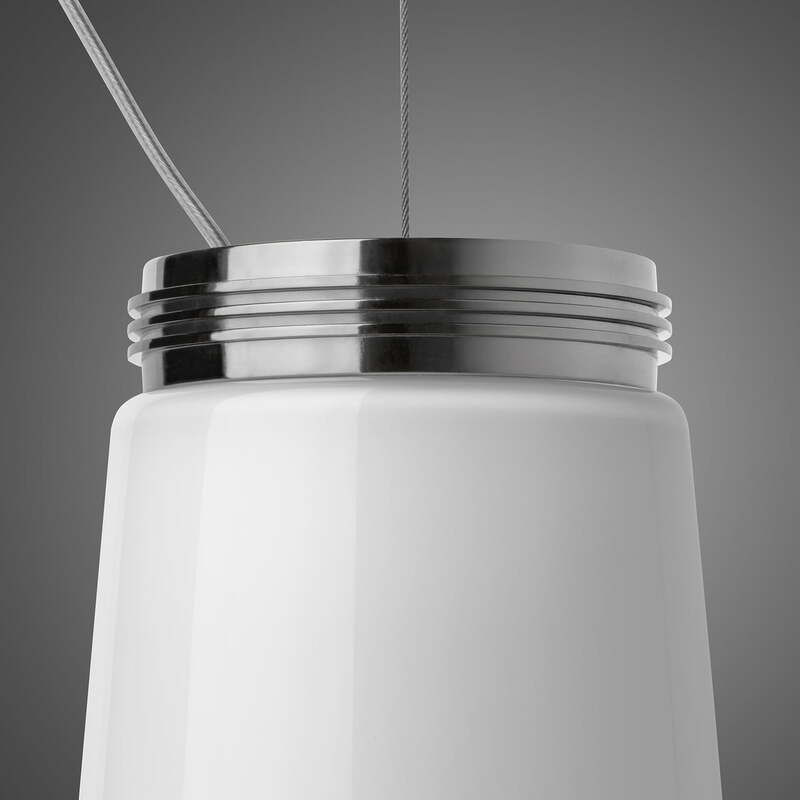 The simple fitting of the lamp does by no means detract from the special effect of the mouth-blown glass, but does, in fact, support the chrome effect in addition. 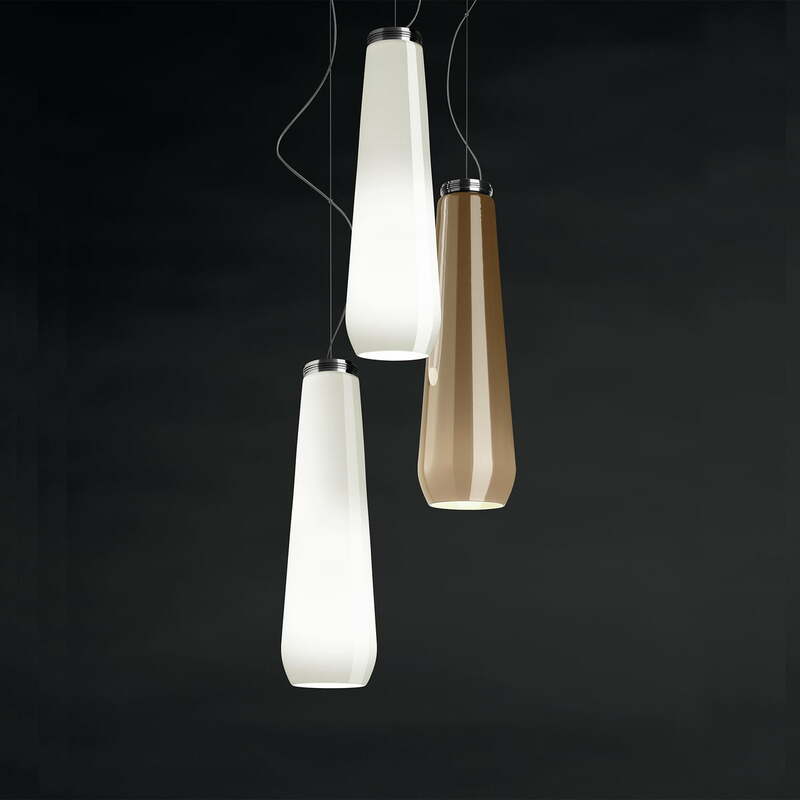 Group view of the Glass Drop pendant lamp. With the help of an integrated dimmer, different light intensities can be selected depending on the needs and taste. 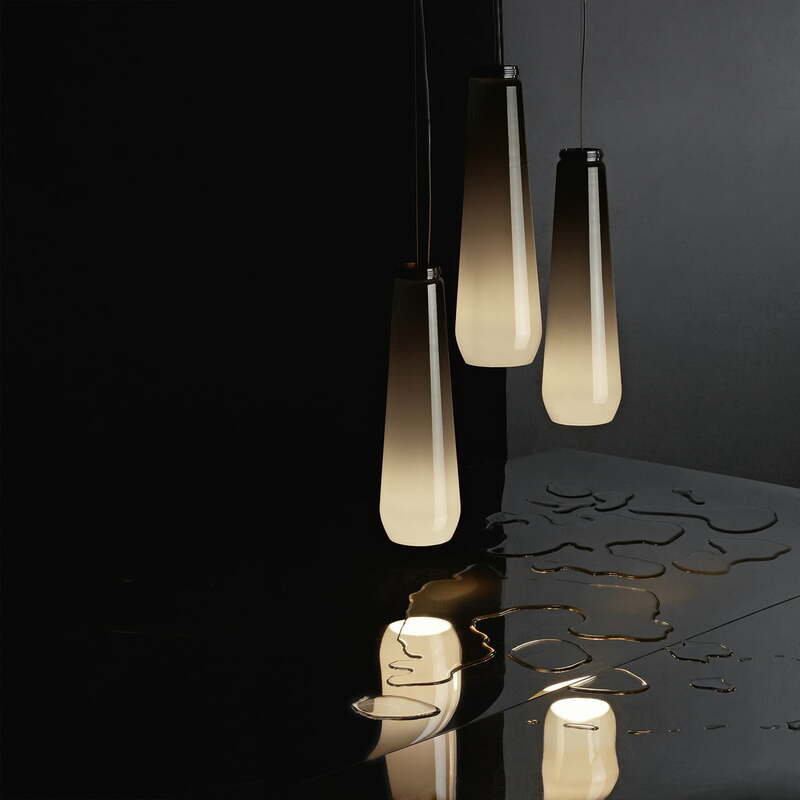 Ambience image of the Glass Drop pendant lamps. Based on the industry-style the light fits both minimalist and modern as well as rustic living spaces. Group view of the Glass Drop pendant lamp. While diffuse, gentle light shines through the glass shade, the lamp emits direct light downwards and illuminates the surface. Ambience view of the Glass Drop pendant lamp. Whether shining bright or giving gentle light: This lamp creates a pleasant atmosphere and enhances any living room.